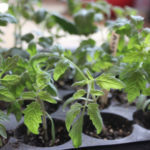 Over the past three years, I’ve shifted my gardening focus more and more toward planning and planting a fall garden and getting a head start on a spring garden. This is primarily because there is an abundance of fresh produce from July-August available at the Farmer’s Market, and to a lesser extent, in our local grocery store. However, the Farmer’s Market does not open until May, and closes at the end of October, which means that unless I have been diligently planning and planting a fall garden and preserving food, I will not have access to local, fresh produce for many, many months. 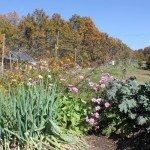 If you live in a similar climate, consider planting your own fall garden. 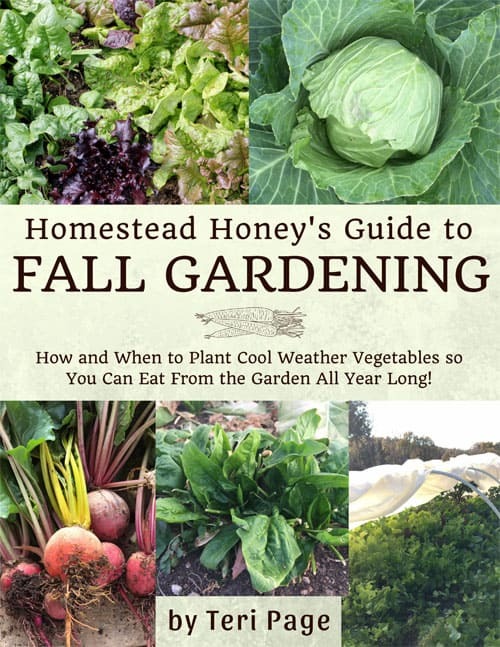 For a step-by-step guide to the ins and outs of selecting the right seeds, when to time your planting, and how to protect your crops from cold, check out my eBook, Homestead Honey’s Guide to Fall Gardening. 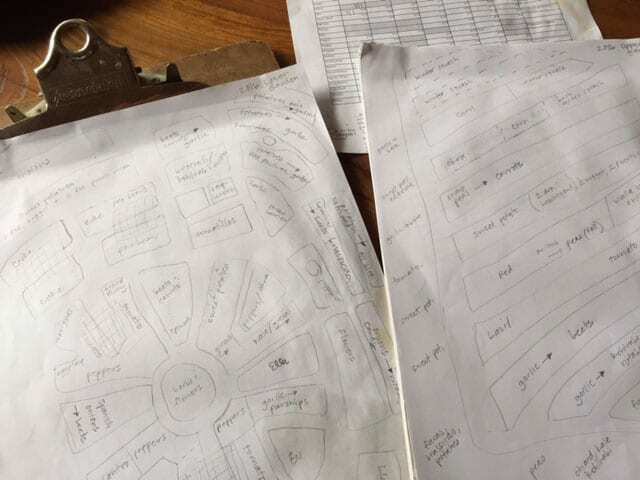 My fall garden planning starts way back in January or February, when I sit down with pencil and paper and map out my garden beds and crop succession for the entire year. While there are fancier ways of planning your garden, I prefer the ease of pencil and paper, and I have a record of each year’s gardens at my fingertips for crop rotation. I’m going to be totally honest: Planting a fall garden is a LOT harder than planning a fall garden! 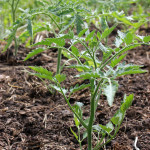 Many fall crops need to be sown in July and early August which, at least in NE Missouri, is the hottest, driest, most pest-ridden time of year! 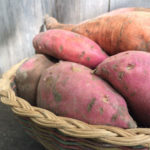 But persevere, because the rewards of harvesting such abundance in the fall, and especially the joys of preserving or storing food to last into winter are great! 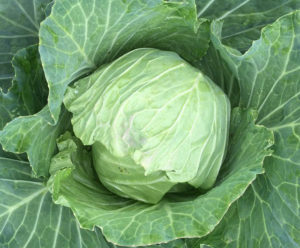 Some fall crops do well when direct sown (beets, carrots, turnips), while others I find do better when started in pots or soil blocks and transplanted out (cabbage, broccoli). 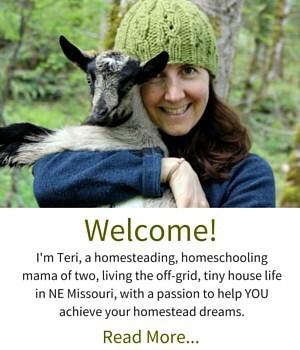 To determine the timing of planting/sowing, I use the seed starting calculator from Reformation Acres’ Homestead Management Printables. I simply plug in my first and last frost dates and her calculator gives adjusted direct sow and transplanting dates. 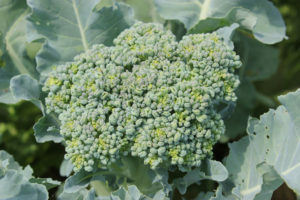 I know that I need to start carrots, parsnips, turnips, rutabaga, broccoli, cabbage, and asian greens in early July, whereas I can wait until early August to direct sow beets, Chinese cabbage, kale, kohlrabi, and lettuce. 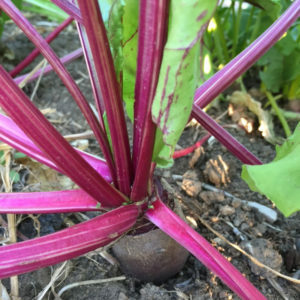 Early September will bring sowings of spinach and radishes (and I also will seed more lettuce and salad greens), and late September is the time to put garlic in the ground. 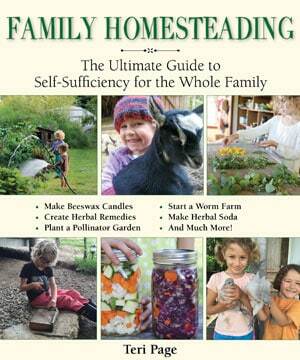 In Homestead Honey’s Guide to Fall Gardening, I will teach you exactly how to calculate when to plant each crop. 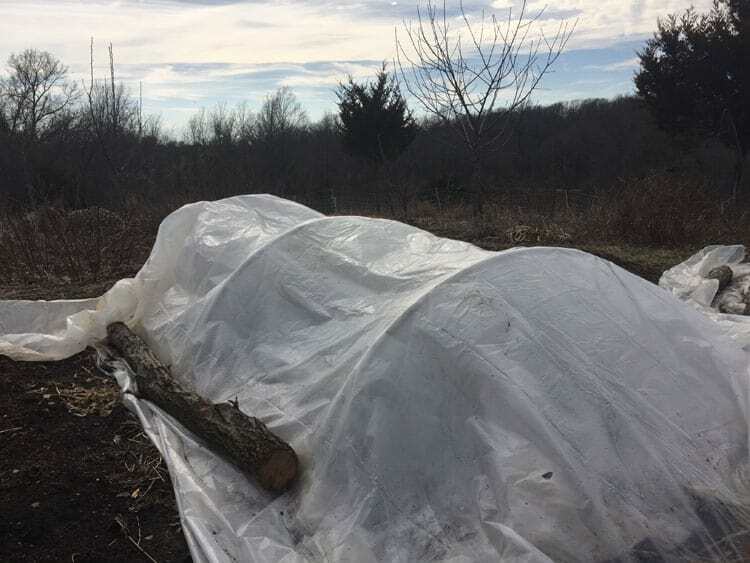 I live in a climate with cold winters and very hard freezes, so I need to either protect my fall garden, or harvest it before a hard frost. 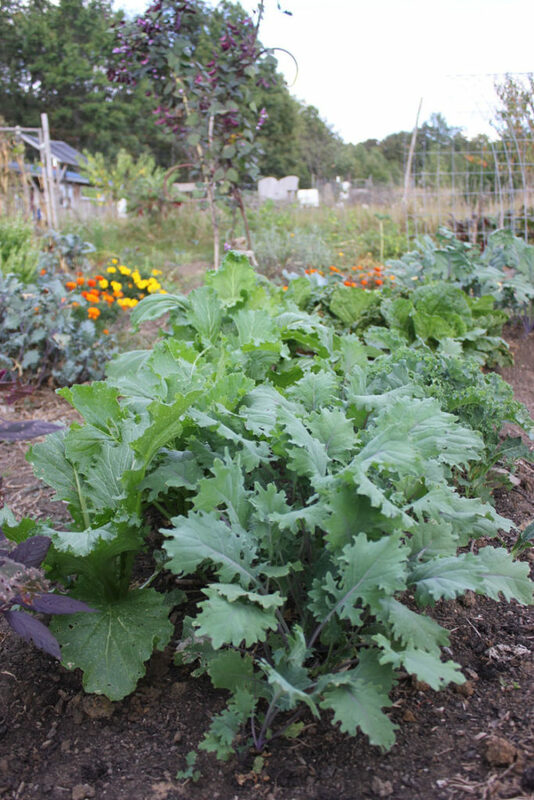 If you live in a mild climate, you can leave your fall crops in the ground and harvest as you go. Some crops like parsnips and carrots will become even sweeter with mild frost; the challenge is to know how much cold is too much, and to protect crops accordingly. 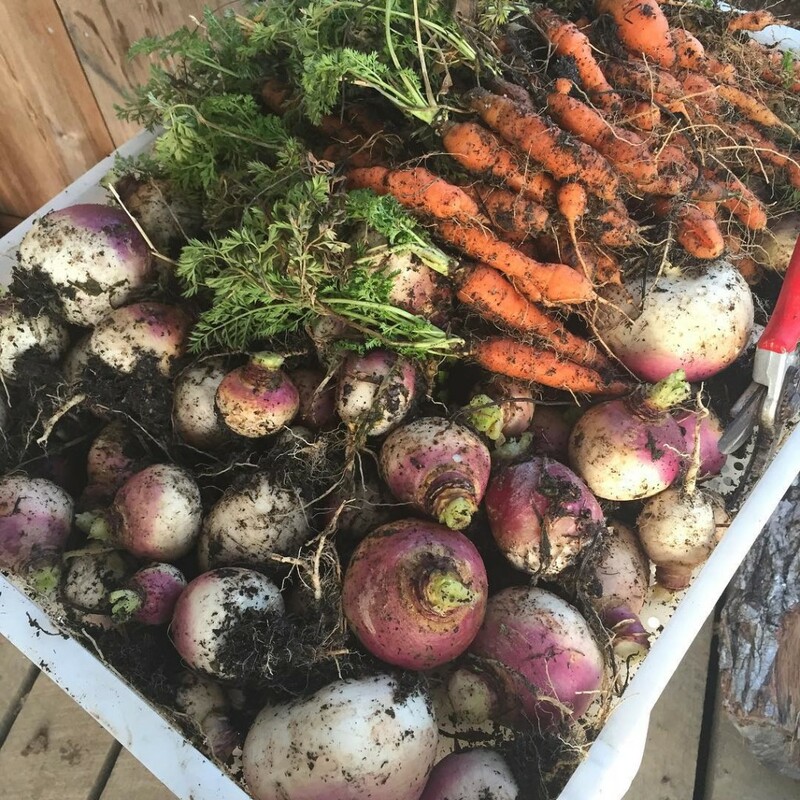 Last year I covered my turnips in a thick layer of straw mulch, and they thrived in the garden through January, at which time I dug them up and stored them in the root cellar. We also overwintered kale and spinach under row cover and plastic. Here you can see the low tunnels in February, fully blanketed against the winter cold. This photo shows the plastic a bit on the saggy side; I went out periodically and snugged it up so the plastic and row cover did not droop onto the kale and spinach. 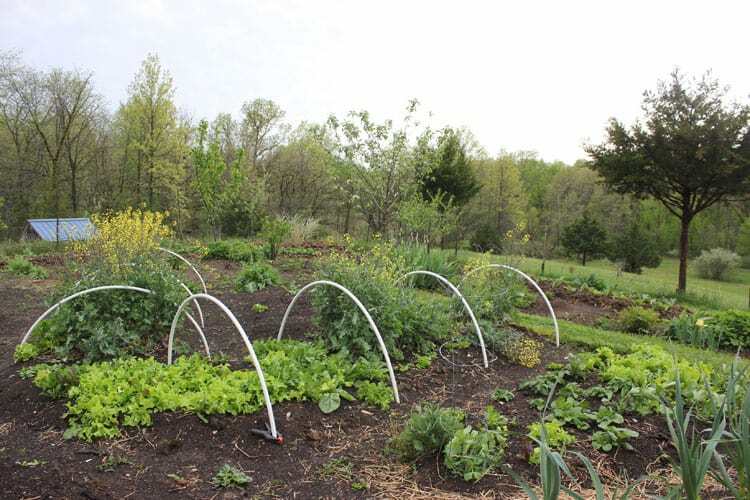 Here is a great post on how to make your own low tunnels. And in April, we were still enjoying and harvesting overwintered greens, and I was able to get a head start on lettuce and spring greens. 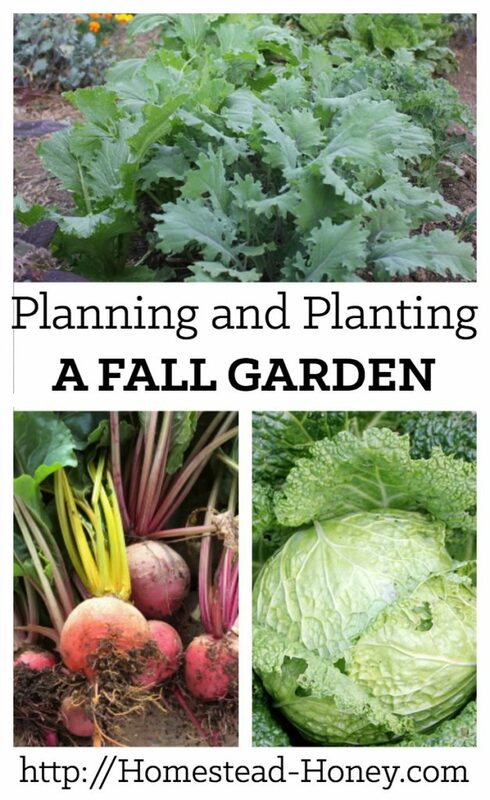 Planning and planting a fall garden takes a bit more effort, but once you taste a frost-sweetened carrot, or enjoy a green smoothie made with your own spinach in mid-February, I bet you’ll be hooked, like I am! Your amazing! Or should I say “Your youth is amazing”! Now, pause from time-to-time and say to yourself, “SELF! 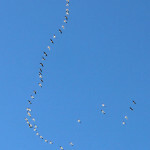 – How will this effect me when I’m 60 and what can I do to make it easier and safer on my body?”. Do the hard work now, you’ll be so glad you did! We were just talking about this today, Sheri, as my husband is 7 years older than me, and as such, closer to 50. We really do need to look forward and make systems that will make life easier as we age. Even now, I take things much easier in the garden because of a lingering disc injury from two years ago. Enjoy! It is so worth it, even if you just plant some spinach and lettuce! I’m glad! Enjoy your radish and carrots.